One of the joys of being a music reviewer is you are contacted by people wanting to review your album or ep and this is exactly what happened in terms of Downfall, no not the Ska/Punk band from 1989 which featured Tim Armstrong and Matt Freeman before they formed Rancid. This is a young rock band from Devon who have recently supported the well know Slipknot tribute band ‘Knot Slip‘. 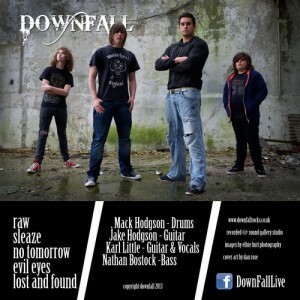 Downfall are a band that comprises of 4 people ranging from 14 years old to 24 years old and even though there is an age gap of up to 10 years you wouldn’t know it to hear it – in fact Downfall were runners up in the 2013 Okehampton Battle of the Bands which is something to be proud of! What do they sound like? Their Facebook page (link provided below) states “We take our influences from classic metal sounds like Black Sabbath and Metallica mixing it up with a bit of sleaze metal and adding in A7X, Alter Bridge and more” which if i am honest with you isn’t far wrong at all. The musicianship on these songs are really good. Mack (Drums) and Nathan (Bass) are both 14 years old and play really tight with the rest of the band….14 years old – hats off to them for being able to play as good as they do at that age! 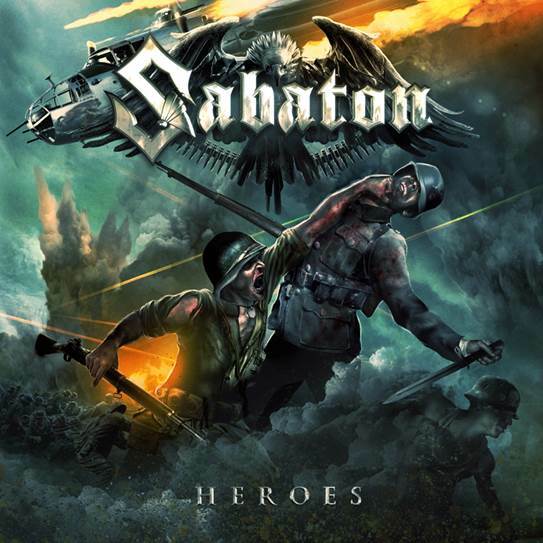 The guitar solo’s throughout are outstanding, especially the ones on No Tomorrow. I have only one criticism with this EP and even that isn’t a bad criticism, it is something that can be easily fixed. It appears to me that the instruments have distortion and other effects on them, however the microphone is clean with no effects at all which makes the vocals sound like they don’t match the music resulting in almost sounding flat. I don’t mean that to sound harsh as that wasn’t and isn’t the intention, it’s just my opinion – Karl (vocals) can sing and as I said before the vocals just don’t seem to match the music, especially on Evil Eyes. To sum it up. Look out for Downfall, they formed less than 12 months ago and if they keep going at this rate you will see them supporting some bigger names in no time! I look forward to hearing what they release next, the band itself is still young yet they have done some amazing things in a short amount of time.